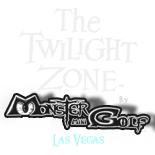 The Twilight Zone by Monster Mini Golf is inside Bally’s Hotel & Casino. We are on the lower level, near the Sports Book and Food Court, directly next to Bodies Exhibit. 2. Do you accept reservations? Reservations are accepted for groups of 12+ golfers. Please phone 702-333-2121 or email [email protected] to set up your mini golf reservation! 3. Is there a minimum age to mini golf? Golfers of all ages are welcome! Fun tip: We encourage guests to wear white or neon so they glow on our golf course and in the arcade! 4. Do you offer party & event services? Absolutely! The Twilight Zone by Monster Mini Golf is the ideal venue for your next corporate party, birthday party, wedding, special event and more! Our team of hosts will ensure everything is FUN & EASY from start to finish!